It’s a vicious circle/cycle. America involves itself or becomes involved in foreign battles in faraway places. Then news, entertainment and other media pick up the ball and run with it, producing goods like films, tv shows, books, educational materials, etc., usually glorifying the Americans and their causes while demonizing the other side, American Sniper vs. Aghani or Iraqi insurgents, for example. Admittedly, many of the latter, ISIS and their ilk among them, deserve to be demonized in my most humble opinion, based on a veritable litany of events like the 130 killed in Paris, the more than 50 killed in Orlando plus and besides the 3000 deaths caused by the downing of the World Trade Centre, etc. 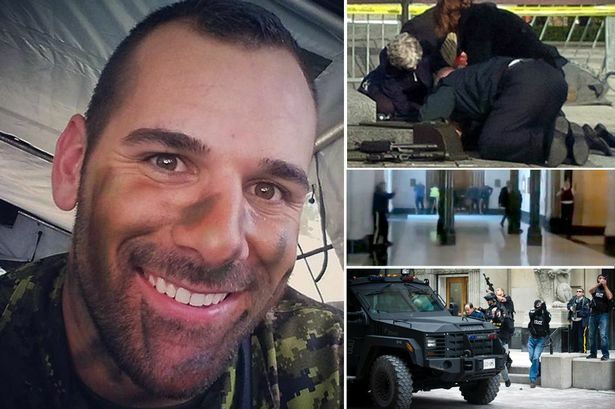 A list, too long to mention, in most of the world : planes, trains, automobiles, IED’s (Improvised Explosive Devices), home-grown terrorists like the Boston bombers, and lone wolves like Michael Zehaf-Bibeau, who fatally shot Corporal Nathan Cirillo, [pictured] a Canadian soldier on ceremonial sentry duty in Ottawa, our capital. 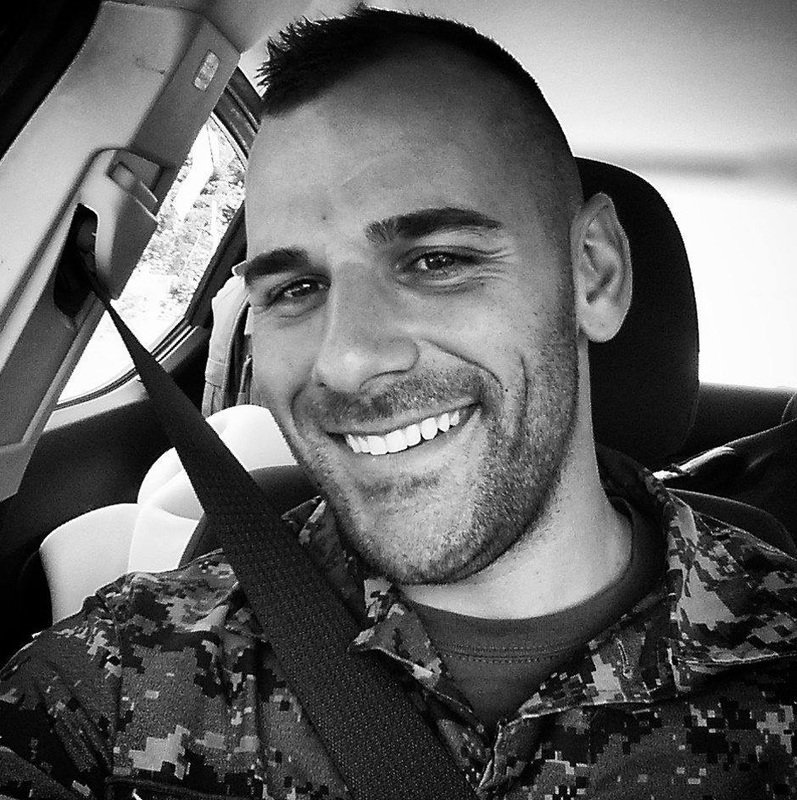 In another incident, two Canadian Forces members were hit by a car driven by a lone wolf terrorist, Martin Couture-Rouleau. 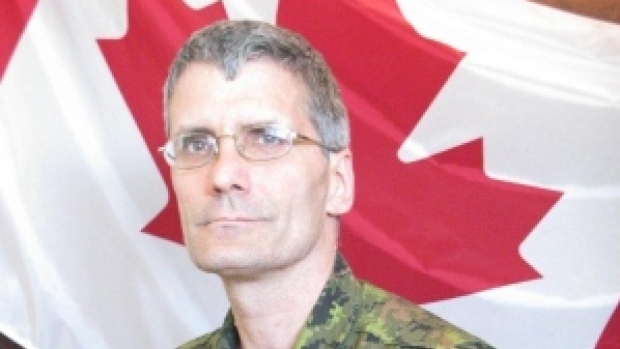 Warrant officer Patrice Vincent (pictured below) died from injuries he received in the incident, while another soldier was injured, but survived – right through to Alexandre Bissonnette who murdered six innocent Muslims, during evening prayers at a mosque in Quebec City, only about a week ago. But that’s not really the point of this JuicyLesson, and I’m sure I’ll get to that soon enough. Remember that we in the West view and judge the East and its behaviours, through our western eyes. There is definitely an element of cultural imperialism evident in the development of our own psychological environments, the latter conditioned a great deal by the nature of the physical environments we find ourselves in, adjacent to the psychological one, this physical environment arguably responsible, to a great extent, for shaping said psychological environment. 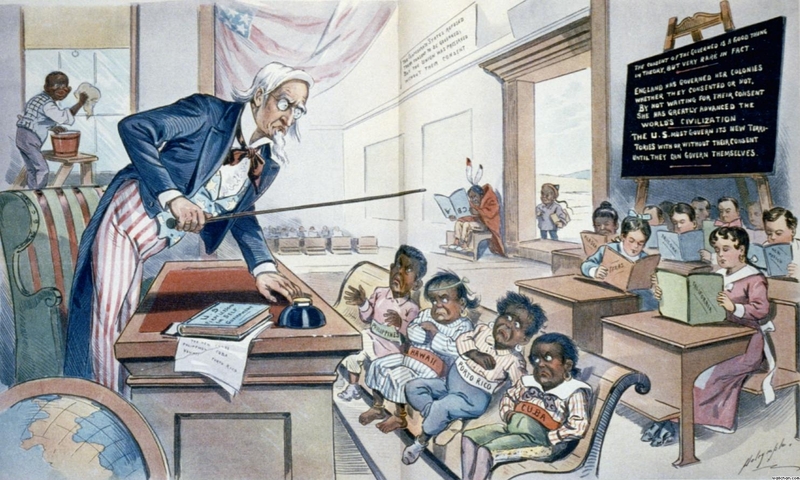 The same is true in the LDC’s (Less Developed Countries, aka Third or Afro-Asian World). Physical environment shapes psychological one but in this case, it doesn’t end there, as ours might. We congratulate ourselves that we have “a pot to piss in” as well as the opportunity to make a go of it in this life. To be successful, prosperous, find a partner, settle down, if you want you can marry, have kids, enjoy life, secure in the knowledge that if you work hard you will be successful, not in every single one of your endeavours, but overall. That’s not everyone in the west, not even eveyone in the Bourgeoisie and Proletariat. There are plenty of people who are poor, uneducated, who turn to drugs, gangs, whatever they feel they have to do to survive. Plus with one of the poorest educational systems in the world, these Americans have no way out of the desperate straits they find themselves in. Sometimes they are complicit in creating all or significant parts of their environments, sometimes not so much. The desperate are not in the majority, yet. How do I know? 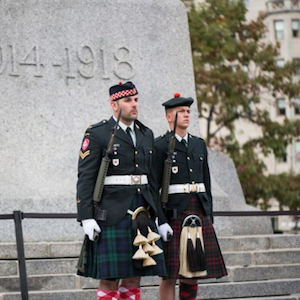 It’s because there is still a modicum of order and peace in Canada, today – unfortunately I have to reserve judgement on the USA, as the Trump presidency evolves, devolves actually. If desperation ever reaches fast full heights, you better learn to defend yourselves and your property because there will be no one around to do this for you. So I am asking that we at least remember, the lucky among us, that is, that objectivity is a difficult perspective to achieve since we were affected by our political, social, physical, psychological, etc. environments. 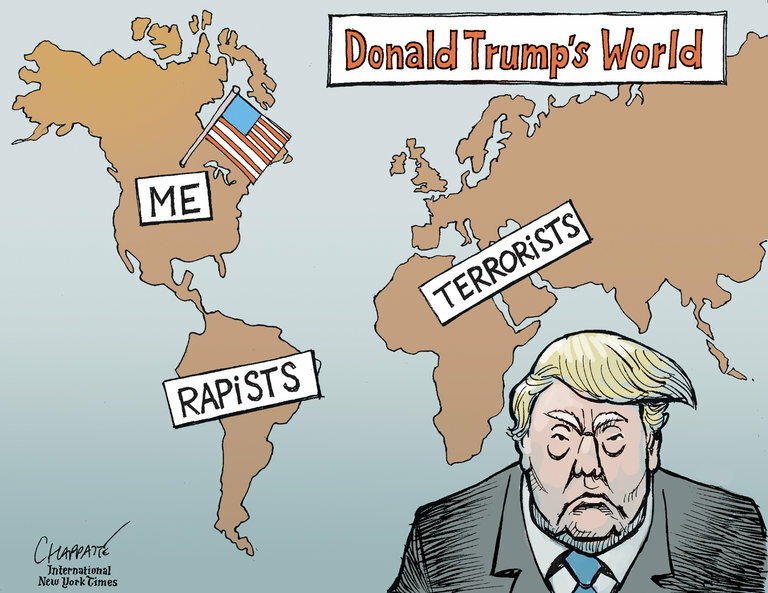 Now onward : My thesis is that the USA is an extremely self-centred country as it were. Americans live very devoted and patriotic lives, manipulated into believing that a Gold Star somehow compensates for the loss of a child. It’s not supposed to happen that way. It’s not natural. It should never be seen as normal. As I said at the very beginning, media picks up the ball and runs with it, producing propaganda which glorifies the American way of life, American morals and values, leading to increased ethnocentric nationalism amongst the “audience”. Disney World, Main Street” USA serves to hook them when thry’re young; glorification of the military – What? You don’t have the qualifications, education, etc. to be a professional – doctor, lawyer, priest, teacher, business person, whatever – no problem. Join the military. End up legless, armless or lifeless, but be buried/cremated/laid to rest as a hero. Your parents and family reach Gold Star status but can this ever replace a lost daughter or son? Don’t think so. So when will this vicious cycle ever end? 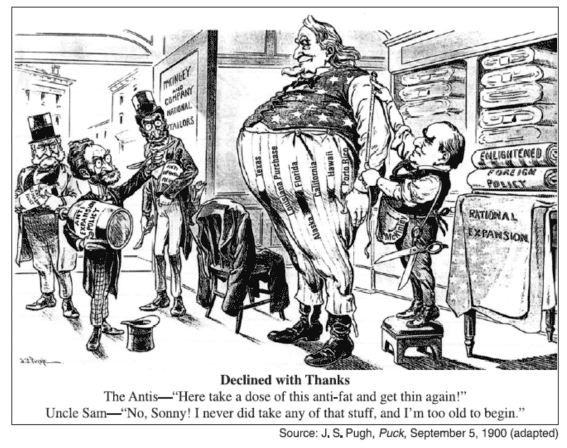 As long as we are ruled by an oligarchy whose financial interests dictate everything from domestic policy to foreign venture, things will remain the same. Marx argued that international wars – wars between or among nations – should be turned into civil wars – workers vs. bosses in the same country – until something like that “happens”, nothing will change and things are likely to worsen over time. Each event – whether big or small – has role to play in determining where we are going as the human race. Think large. I know this scenario is far-fetched, but that’s all I got. Note on the music video. The cut is “Volunteers” by Jefferson Airplane, off the album by the same name. Jefferson Starship represents the contemporary version of Jefferson Airplane, with some changes of personnel. I find the video to be a fine encapsulation mostly of the 1960’s. From Hendricks, to Vietnam, from war to demonstrations, from the military to the movement (watch for the young woman offering a flower to a soldier with a machine gun in her face), – all stills but magical – to me, at least. You always think people will fail,no way out.What a terrible outlook.Glen Becks grandfather never went past the 5th grade yet went on to become the highest paid machinist’s Macdonald Douglas had ever had at that time.There are millions more.Some people who seek higher education are actually lazy,thinking that when they get their degree they will get a easy job with lots of golf. Kevin, we can only hope.